You have a ton of choices for getting your data from one place to another, but flash drives are a classic. Etsy seller miniFab combines the flash drive with more classic technology: retro 8-bit video game controllers. 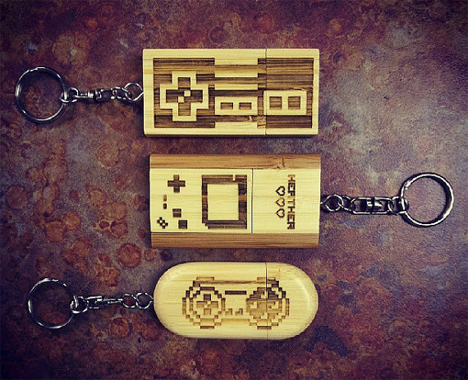 The 4GB Wood Gamer Flash Drives are made from bamboo and have an attached keychain for keeping them close at hand. Each one is emblazoned with the image of a classic NES or Super NES controller or a Gameboy. The flash drives can be personalized with an engraved name or message. At $25, the 4GB USB drive seems like a pretty great gift for the 8-bit game enthusiast on your list.